In the summers of 2020 & 2021, we're going on the road! 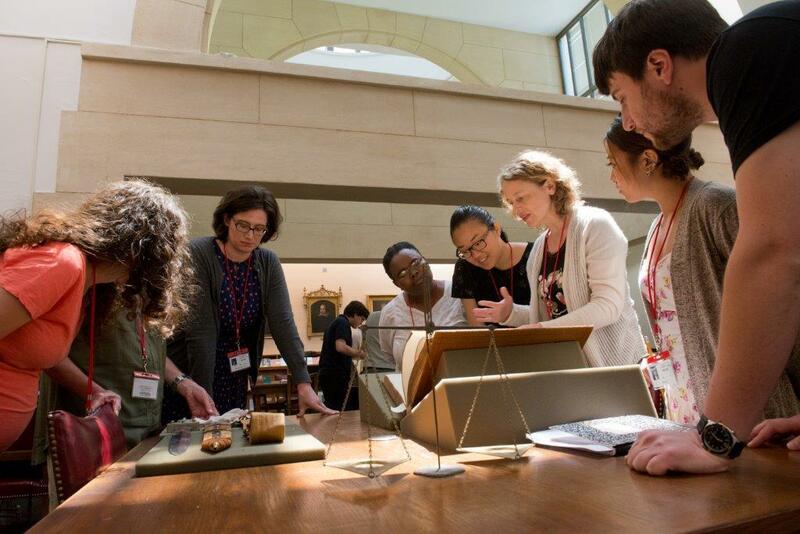 If you want to get into Folger Education work that includes the magic of seeing the Folger Collection first-hand before 2023, this is your summer! Due to popular demand, we’re offering not just one but two Folger Summer Academies in 2019! Two different plays. One common—and wildly immersive and effective—professional development model. 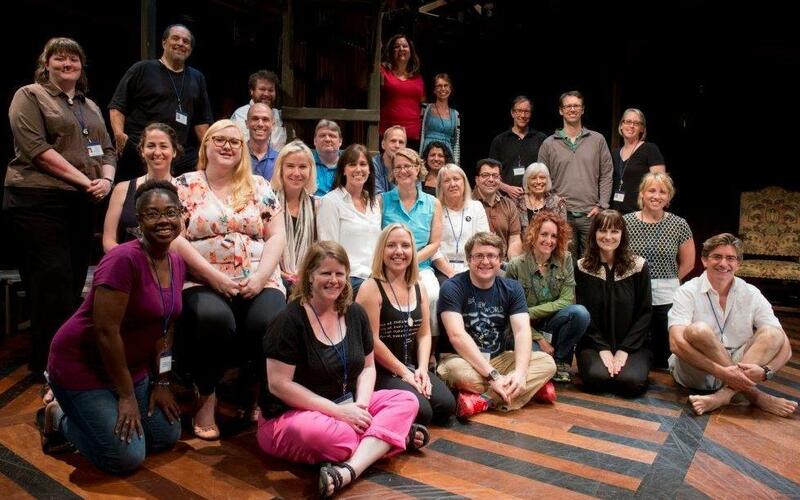 Be one of 30 teachers in each Academy to spend a week at the Folger Shakespeare Library in Washington, DC, and take a deep dive into Hamlet or Othello. Learn how to get ALL your students understanding and befriending Shakespeare’s language. Work in the world’s largest Shakespeare collection and learn alongside scholars, theater professionals, experienced teachers, and your fellow participants. Gain skills, confidence, and a whole new community of support as you learn how to teach literature the (totally exciting, engaging, and rigorous) Folger way. Get right smack into the thorny, frustrating, maddening, illuminating, elevating aspects and delicious language of this fabulous play. Get with Othello through the lenses of all kinds of scholarship including race, performance, and classroom practice. Learn how Othello (and other literature as well) can be an important gateway to classroom conversations on race, identity, and difference. Explore rare materials in the Folger collection, make discoveries about Shakespeare in performance on our Elizabethan stage, and create new and wonderful teaching materials. Work with an excellent faculty including Kim Hall whose extraordinary and groundbreaking work on Shakespeare and race is enlivening the minds of teachers, professors, actors, directors, and students everywhere. Five long days, exciting new knowledge, crazy engaging teaching and learning with mentor teachers, creating classroom materials shared with all. Jump into Hamlet, the play that we can never get enough of! Five days of examining, investigating, and thumping around the characters, language, printing history . . . everything about this play through the lenses of scholarship, performance, and how this will all work in your classroom. Work with excellent team of mentor teachers, scholars, and performance faculty. Five long days, exciting new knowledge, crazy engaging teaching and learning, and creating classroom materials shared with all. Study Othello or Hamlet—and how to teach it—as a scholar, a performer, and a classroom teacher. Engage in rigorous work all day, starting with scholarly lectures in the morning and ending with curriculum workshops in the evening. Create three-day teaching modules on Othello or Hamlet that incorporate primary source documents, performance-based approaches, and a focus on language. Forge new relationships with Shakespeare, the Folger, and a professional learning community that stretches across the country and promotes exchange among teachers at all kinds of schools. Graduate credit through Trinity Washington University is available for an additional fee. Accepted applicants must submit a non-refundable deposit of $950 (50% of the total tuition cost of $1900) to secure their spot. Applicants will be considered for either or both of the Summer Academies. Decisions will be emailed by the beginning of May 2019. We will keep a waiting list. Please contact Peggy O’Brien (pobrien@folger.edu).